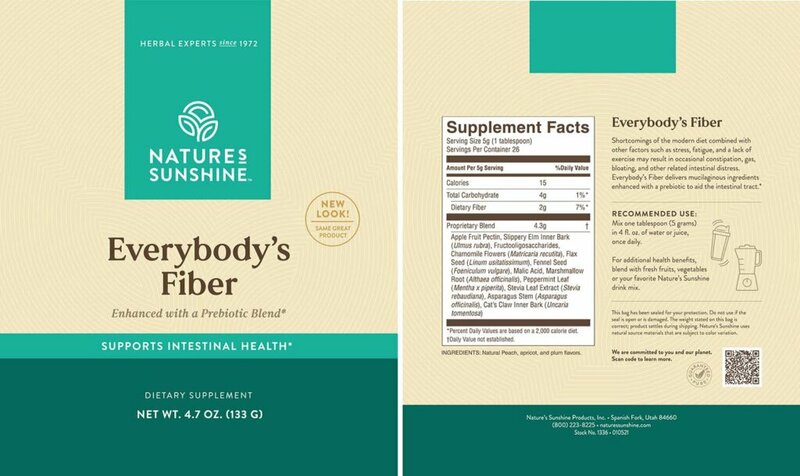 Nature’s Sunshine Everybody’s Fiber contains a variety of fiber providing sources to aid a healthy digestive system. 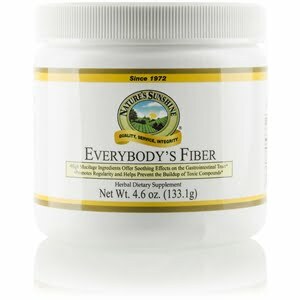 Everybody’s Fiber may also support a regular bowel movement. 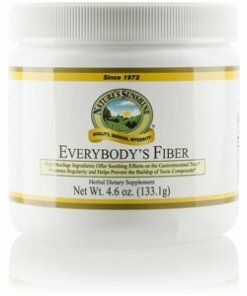 Everybody’s Fiber is helpful for a body cleanse. Instructions: Mix one scoop (5 grams) in 4 oz. of water or juice. Not for use by children under 12 years of age. Store in a cool, dry place. Natural peach, apricot, and plum flavors.